Ok, I don’t want the headline to mislead, I should say that films about Jack Kevorkian and Barack Obama are coming to STF. 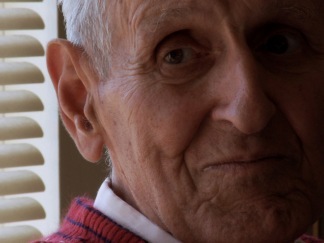 I’m pleased to announce the Closing Night film for STF’s spring season will be KEVORKIAN, being co-presented by HBO Documentary Films. This will be the film’s first public sneak preview. Directed by Matthew Galkin (who chronicled the Pixies in “loudQUIETloud”), KEVORKIAN follows the infamous Dr. Death following his release from prison as he makes a quixotic run for Congress in the 2008 elections. (His district in Oakland County, MI happens to be where I grew up). Recently, Kevorkian was back in the spotlight being portrayed by Al Pacino in the critically acclaimed HBO movie. Don’t miss this opportunity to discover the complexity of the real man. Once the spring season comes to an end, you’ll only need to wait another week for a fresh dose of STF. On June 15, we’ll show Jeff Deutchman’s innovative project, drawing upon footage from all over the world, to chronicle the day Obama was elected, a work fittingly titled “11/4/08.” Having premiered at SXSW, the film reflects the grass roots support – in particular of youth – that swept Obama to victory. Looking back on the day gives us a measure for where we find ourselves now and gives cause for anticipating the upcoming Congressional elections in November.